Congratulations and Thank You, Class of 1967! 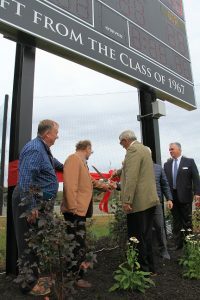 Congratulations to the Bridgton Academy Class of 1967! 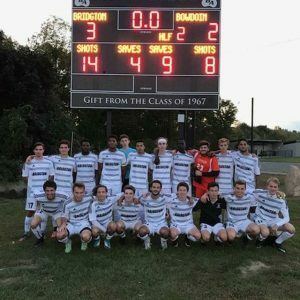 During Homecoming Weekend (9/30-10/1), alumni spanning over seven centuries returned to North Bridgton to celebrate. Guests from milestone reunion classes—including the Class of 1967—had the chance to catch up with each other over the course of several events, including a cruise on the Songo River Queen, an alumni brunch, an evening biergarten gathering, and numerous athletic competitions. On Saturday morning, September 30th, members of the Bridgton Academy Class of 1967 gathered at the site of the Academy’s new multi-sport scoreboard to participate in the dedication ceremony for the largest class gift in the modern history of the Academy. 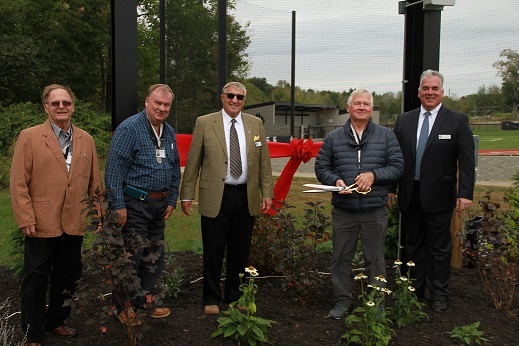 Over twenty individual contributions were made over the course of the last several months as ’67 Class Representatives Tim Armour, Tim Braun, Mike Doyle, and George Reid led their classmates in this incredibly ambitious fundraising endeavor in honor of their milestone 50th reunion. Please stay tuned as we share more information, including the final recognition plaque bearing the names of all ’67 alumni whose support and belief in “the year that makes the difference” made this incredible gift possible. congratulations on this phenomenal achievement!